Kicking Horse has a reputation as one of the rowdiest ski areas in North America (just look at any footage from the annual Wrangle the Chute) and for good reason. Nestled between the legendary Rogers Pass and Dogtooth Range of the Purcell Mountains, Kicking Horse offers some of the steepest and deepest skiing on the continent. 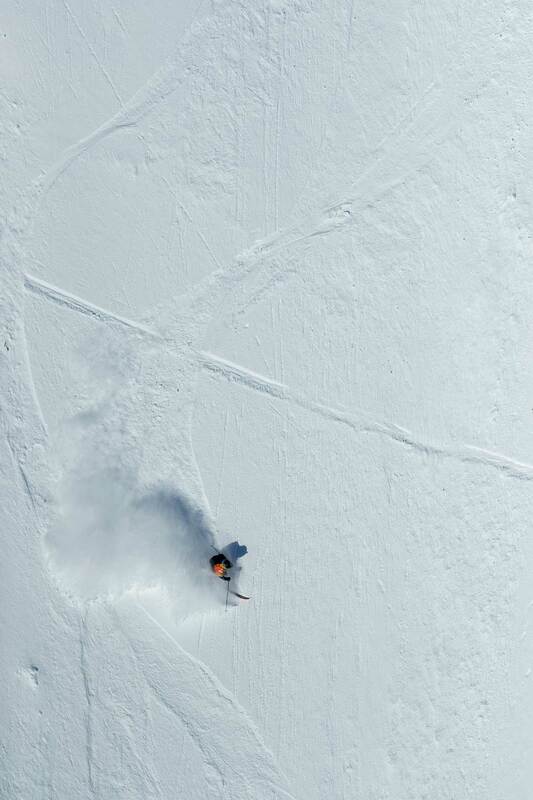 Following a wild first stop in Hakuba, the Freeride World Tour landed in Canada for a ripping bluebird day. Though the Ozone face was familiar to veterans of last season’s tour, wind and snow condition had warped the features, creating new lines not seen before on the tour. Following the snowboard women, the ski women started the show. Jacqueline Pollard, the rookie from Alta, Utah, skied out to an early lead. She laced a fast, fluid, impressive run, combining big airs up top with a clean double in the bottom cliff garden “The Peloton”—a reference to Conor Pelton’s antics off the cliff last season, and the high volume of riders expected to make use of the feature—and a breakneck exit into the finish. The combo of big airs and fluid skiing put her on the top step early with a 76.67. 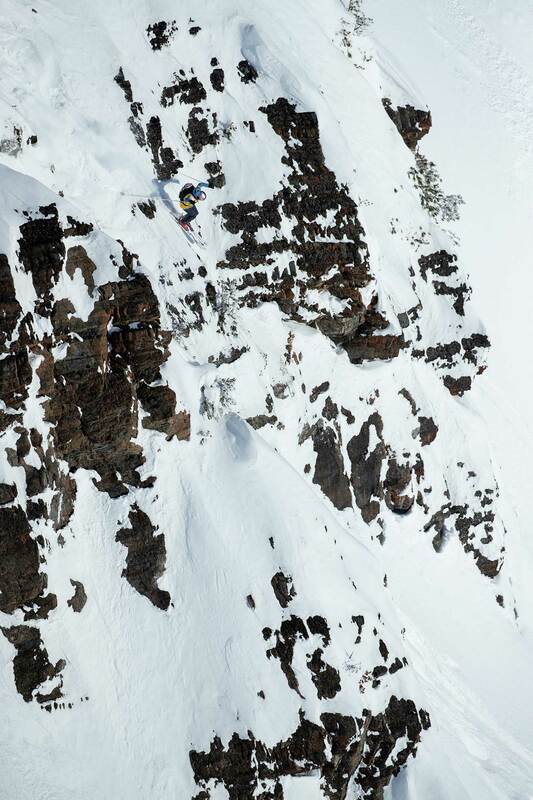 Arianna Tricomi, defending FWT champion and current overall points leader, pieced together a solid run, linking three large cliffs with no hesitation, including a massive air out of the Peloton cliff section near the bottom of the venue. The run earned her a spot on the podium behind Jacqueline Pollard, further securing her stranglehold on the overall points standing. Seeking to improve on her strong results in Japan, rookie Maude Besse put together a solid run of clean skiing and big hits, before crashing off a cliff near the bottom of the Ozone face. Rounding out the podium, American Hazel Birnbaum stomped two cliffs and took a creative new line into “The Mirage” cliff band, nailing a double drop through technical rocky terrain, and ripping out the landing. American Jackie Passo, known for her “go-big-or-go-home” style, started her run with a creative variant from the B start, and closed out her run with an absolutely massive air and spectacular crash off The Peloton cliff band at the bottom. As the dust, snow, and skis cleared on the women’s field, Jacqueline Pollard defended her early lead, Tricomi held on to second and Birnbaum skied into third. Following the snowboard men, the ski men skied out next. The stacked field of 21 talented riders delivered with some of the biggest drops and most stylish tricks of the day. 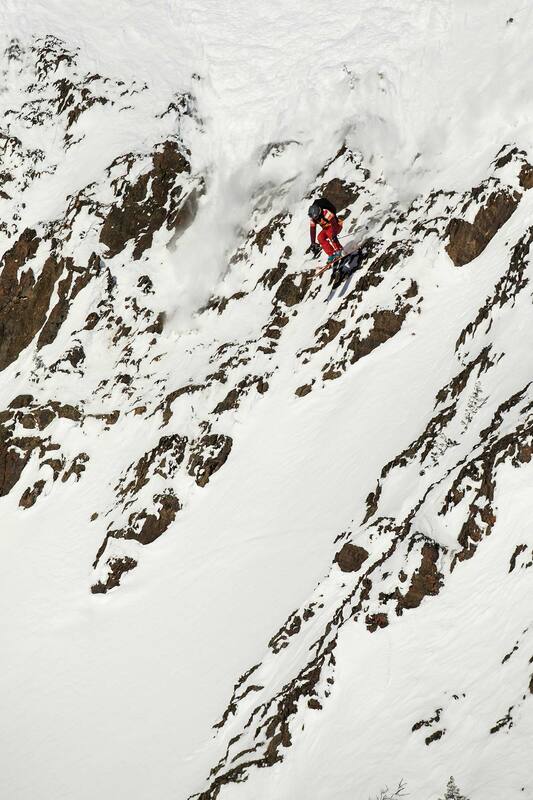 From the very first hit of the very first rider, the ski men went out with a bang. First rider Berkeley Patterson stomped a three on his first hit, from nearly a standstill off the technical entrance of the B start, and flowed cleanly into three more big, high-speed cliff stomps. FWT wildcard Tanner Hall lived up to his nickname, stomping tricks and airs that only the Ski Boss can. He sent a beautifully clean, absolutely massive floater 360 over two cliff bands, in one of the biggest hits of the day. Despite his amplitude and style, Tanner lost points for his lack of other features, and missed the podium in his second FWT performance. Craig Murray had an explosive run, beginning with waving and hollering to the crowd and helicopter before dropping. He combined a 360 and a backflip off his first two hits, with no speed check or hesitation between, in one of the most technical zones of the Ozone face. 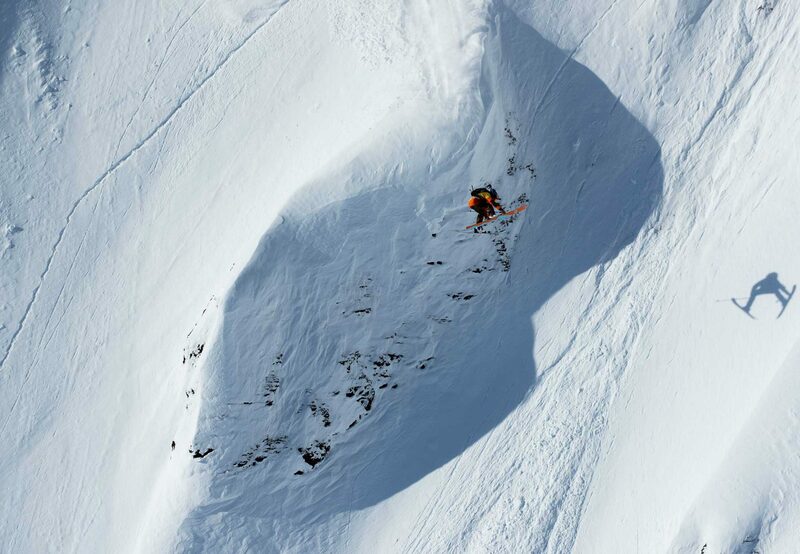 For good measure, he rounded out his run with another massive cliff. The back to back freestyle features at high speed in technical terrain put the New Zealander on the top spot of the podium. 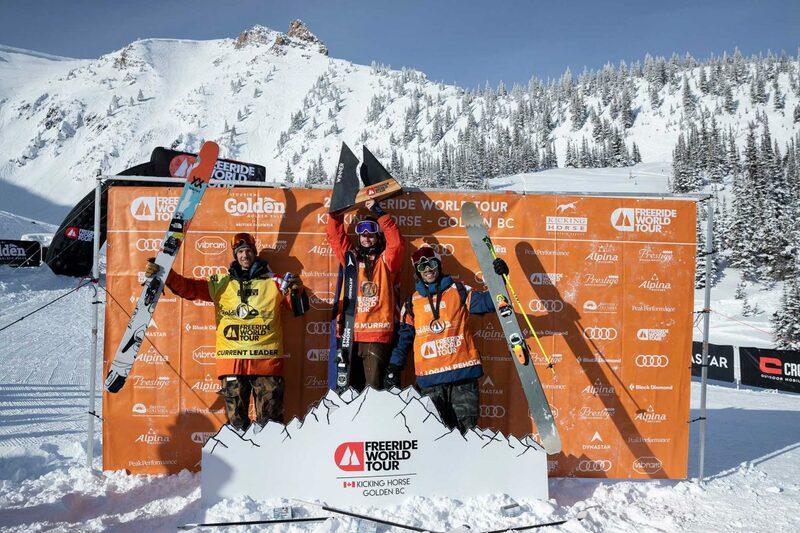 With one of the most fluid—and frantic—runs of the day, current overall points leader Markus Eder skied into second place. The Italian took a clever line in the same zone that Murray skied, linking three large airs together with mere seconds between the landing of the previous cliff and the takeoff of the next. The tight, technical, fluid combo netted Eder his second podium in as many Tour stops, and cemented his overall points lead. 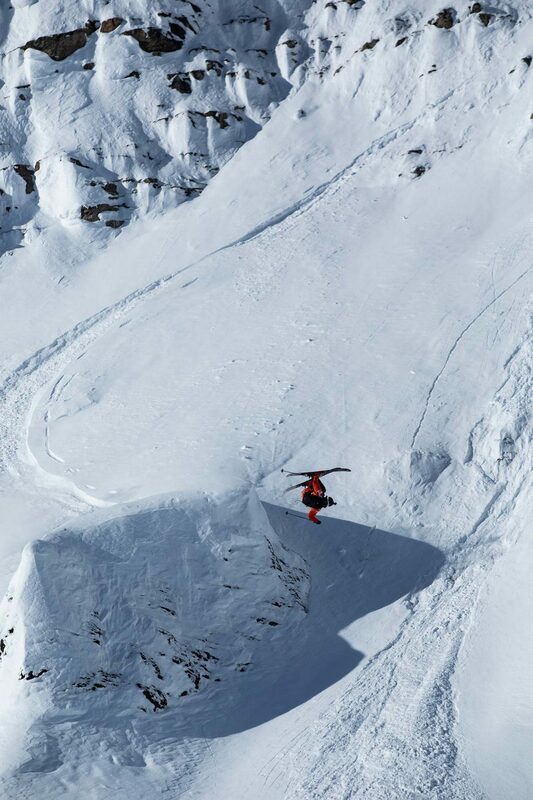 Kicking Horse Wildcard, and last season’s winner of the Ozone face, Logan Pehota punched into third, stomping two 360s and a huge cliff at the bottom. Kristofer Turdell just missed out on the podium, lacing a three, a backy, and large stomp together with fast, fluid skiing. Fellow Sweden Reine Barkered went to Stomptown, nailing three huge cliffs in a technical section of the venue. 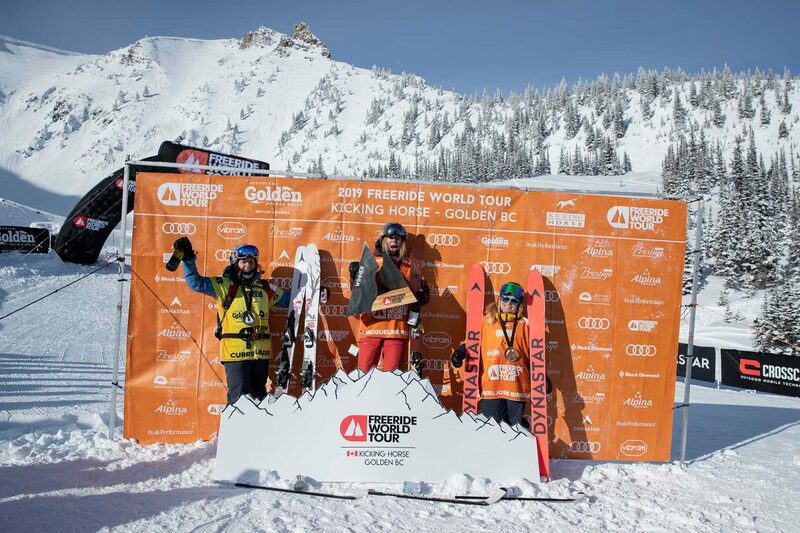 After the steeps and big hits at Kicking Horse, the leaderboard landscape shifted: Arianna Tricomi still holds a commanding lead on the women’s side. She’s followed by Elisabeth Gerritzen of Switzerland, and rookie and Kicking Horse stop winner Jacqueline Pollard. On the men’s side, Hakuba winner Markus Eder holds the lead, though he’s chased by Craig Murray and FWT wildcard and freestyle maestro Tanner Hall in third. Kicking Horse lived up to its rowdy reputation, and saw massive hits, fast skiing, and creative lines on a big-mountain face. 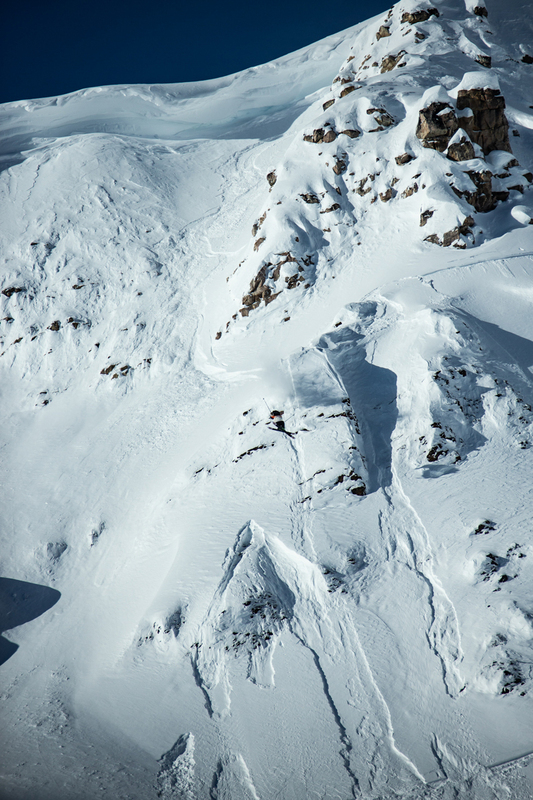 The FWT now heads east for the next stop, at Fieberbrunn, Austria, held from February 22-28th. Downdays European Skier of the Year FINALS – Voting open now!